This southbound Norfolk & Western freight on former Nickel Plate Road rails, led by GP30 no. 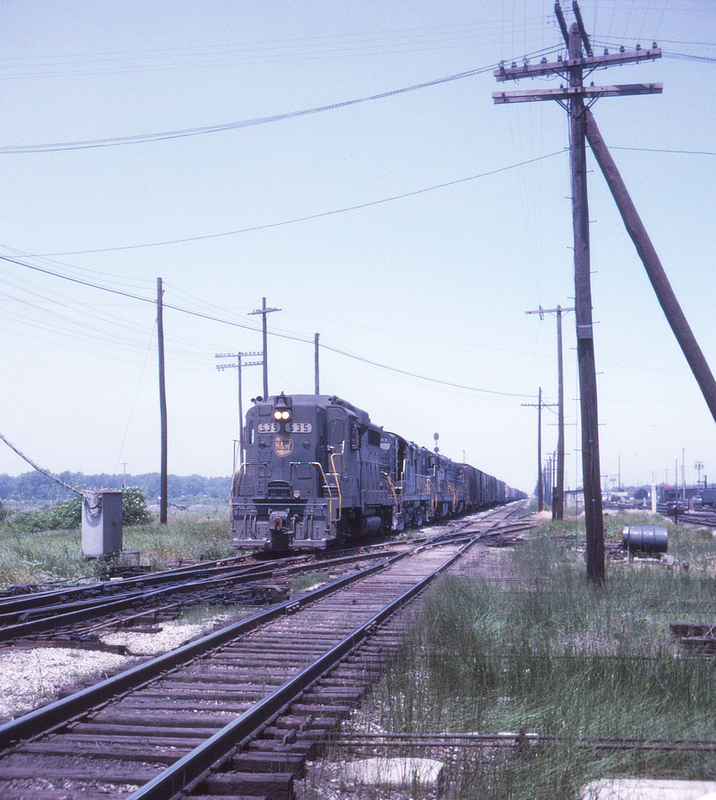 535, is about to cross the Monon (now Louisville & Nashville) on its way through State Line Crossing near Hammond, Indiana. The tracks to the right belong to the Chesapeake & Ohio but will become Chicago & Western Indiana upon crossing the Illinois state line just ahead..